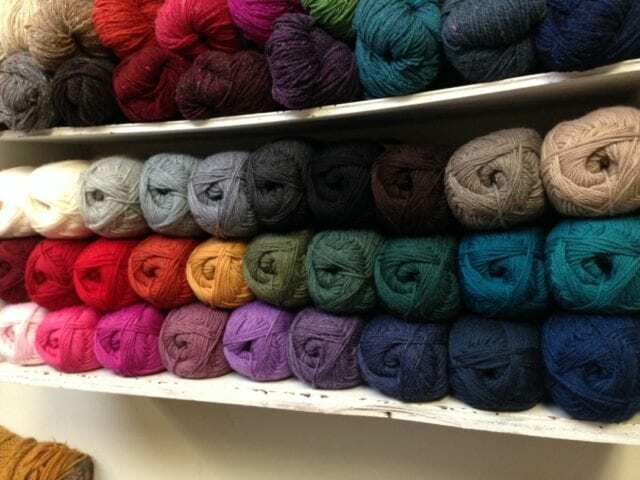 Back in stock, show and tell: Berroco Ultra Wool and Ultra Wool DK. 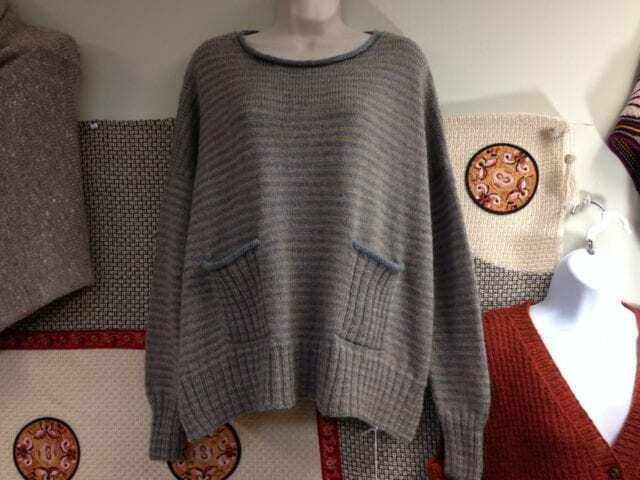 This season, we seem to be constantly ordering and reordering Berroco Ultra Wool and Ultra Wool DK. Not long before we closed for our Thanksgiving break, I unpacked a bigger box than ever from Berroco, for it contained some new colors along with all our old favorites. Ultra Wool and Ultra Wool DK are smooth and sturdy superwash wools, one of the few that suggests “tumble dry low” rather than “lay flat to dry.” They’re easy-care, practical, economical, and come in a wide range of solid and heathered colors; no wonder we’re selling so much of them! 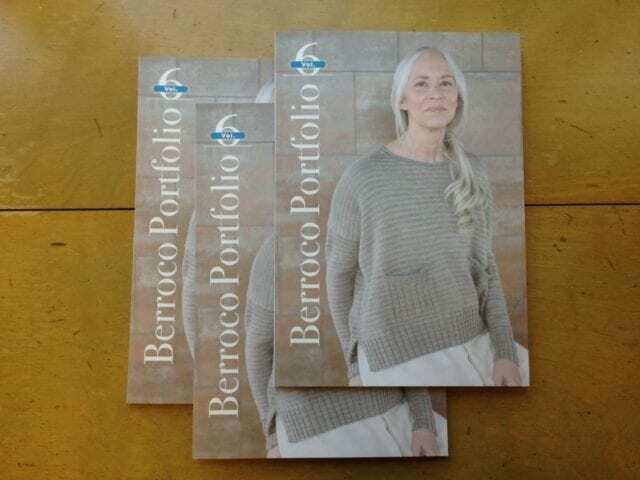 The latest Berroco Portfolio collection features these yarns, and we were delighted when Berroco also sent us a sample of the cover sweater, Lori Versaci’s “Lane’s Island Pullover.” There’s nothing like a finished garment to give you a sense of how a particular yarn knits up, and this one has already compelled plenty of knitters to try Ultra Wool DK, many of whom return to it for other projects. 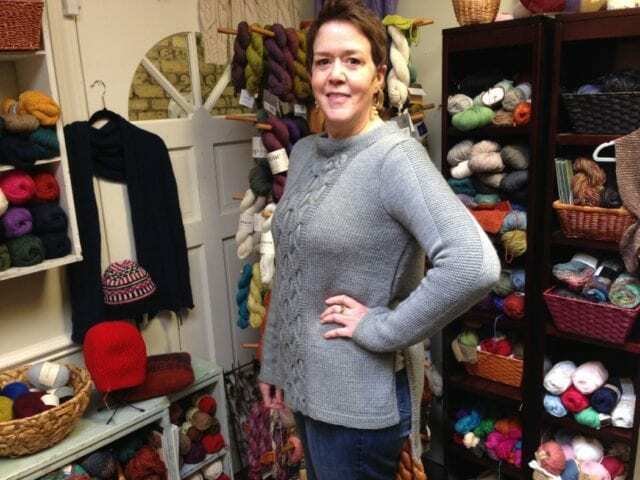 April was one of the first knitters we knew to complete an adult-sized sweater in Ultra Wool DK, and when she wore it in, singing the yarn’s praises, we were truly impressed. 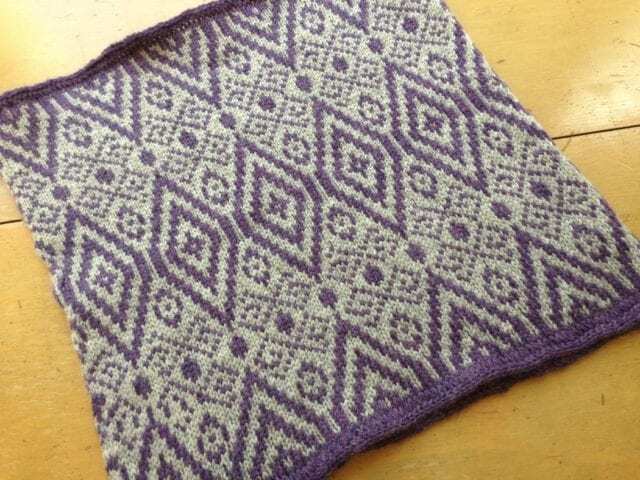 The cables of her “Bowery Tunic” show beautifully, and April didn’t report any of the out-of-control stretching that superwash wools can sometimes experience during blocking. Margie has also been working with Ultra Wool DK of late, knitting not one, but two “Isabelline Cowls.” I never tire of seeing what an impact a change in color can have; this pair is a nice example of how low- and high-contrast color combinations can both work beautifully in stranded colorwork. And you might be surprised which of these has higher contrast – I was! Look at these photos through the black and white filter on your camera and you’ll see what I mean. 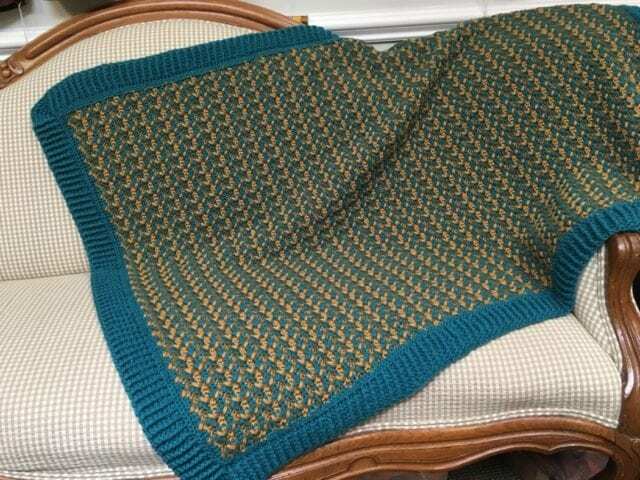 Ultra Wool DK is great for crochet projects, too! 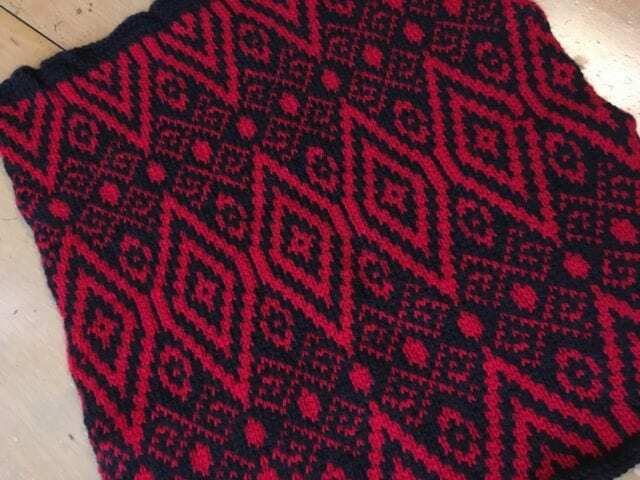 Check out Linda’s amazing blanket for proof positive. 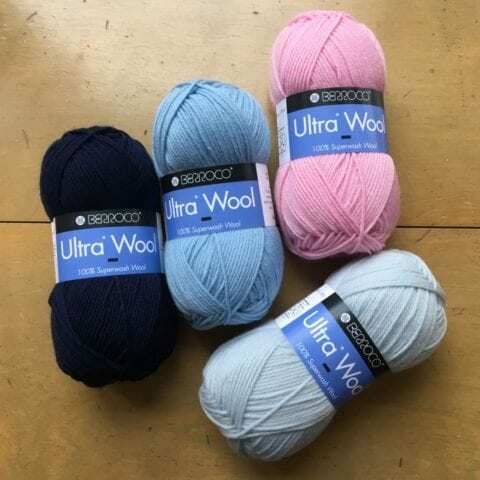 Look for Ultra Wool and Ultra Wool DK here at the shop, and keep an eye out for something new from Berroco, too… more on that soon!